The City of Wichita held a second meeting on police and community relations on Wednesday night. The meeting was held at the Century II Performing Arts and Convention Center. The turnout was smaller and the tone less agitated than the first meeting held back in August. City officials described Wednesday night as a progress report. 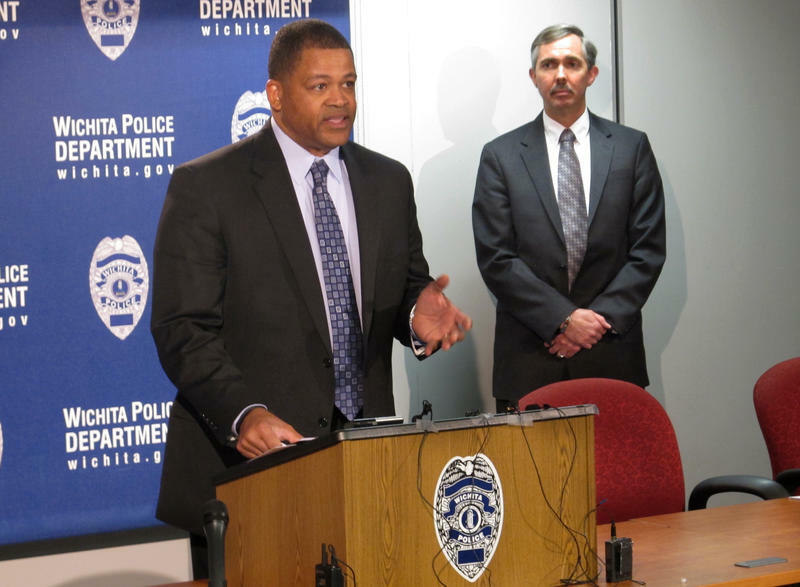 Wichita Interim Police Chief Nelson Mosley said the city is equipping all of its officers with body cameras by the end of 2015 and developing additional training for community policing and crisis intervention. When members of the crowd were given the floor, it was apparent that some thought these steps weren’t enough. Representative Gail Finney of the Kansas Legislature was the first to speak. “We have a diverse population (in Wichita), with over 11 percent African American and 12-13 percent Hispanic. I would like for you to have that reflected in our police force,” she said. Mosley said recruitment numbers for the Wichita Police Department are down, and that they need help from the community in finding applicants from the city’s minority populations. Many in the crowd stated—as they did in the first meeting—that citizens need more power in reviewing officer-involved shootings and racial bias complaints filed against the city. Bob Gholar of Wichita asked if when selecting a new police chief, the city could review its policy of not disclosing the names of officers after deadly force has been used. City Manager Bob Layton said that’s not something they’ve considered, but would keep note of it for future meetings. Also in attendance was Beverly Allen, the mother of a 26-year-old veteran who was shot and killed by police earlier this year. Allen said her son suffered from post-traumatic stress disorder and responding officers should have been better prepared for the situation. She says officers need to be trained in how to handle citizens suffering from mental illness. Mosley said his officers will receive additional education in mental health awareness through the Sedgwick County Crisis Intervention Training program. The class can facilitate 20 officers once a year. Mosley said he would also like to bring in an educator from the Kansas Law Enforcement Training Center in Hutchinson, Kansas, to conduct 'fair and impartial policing' training for the entire force. The program is meant to address racial discrimination. City officials reiterated that this meeting is the continuation of a dialogue and that they hope citizens believe their desire to improve police and community relations is authentic. On Sept. 4, KMUW aired a story about policing in Sedgwick County. We took a look at military equipment acquired through the federal government's 1033 program, including a newly acquired armored vehicle. The following story also focuses on policing in Wichita. City officials have announced a proposal for the purchase of body cameras for each officer of the Wichita Police Department. Sedgwick County District Attorney Marc Bennett gave an update on an officer involved shooting case from 2012. This much is known: on April 1, 2012 Troy Lanning was shot and killed by Wichita Police Officer Randy Williamson. What remains unknown is whether lethal force was justified. 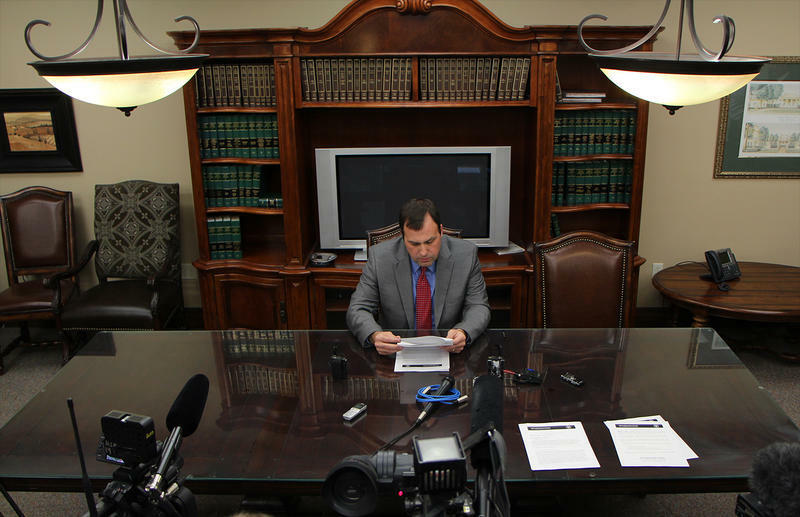 District Attorney Marc Bennett says an investigation conducted by the Wichita Police Department, Kansas Bureau of Investigation and his own office hasn’t produced a clear answer.